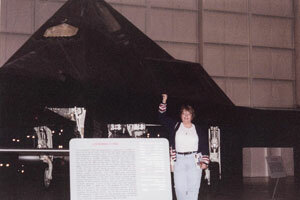 I was born in 1954 and raised in the farm country of northwestern Indiana. Barely six years old, I entered first grade at York Center School and immediately resonated with my teacher, Ruth Buffenbarger, sister of former Secretary of Agriculture Earl Butz. With two classes to a room, through the second grade, I was very shy. “Mrs. Buffenbarger” gave me the support, encouragement and foundation for reading and literature. My principal, Dale Guthrie, was more than an eighth grade teacher. I was always one of the children clustered around him listening to his stories. He was a hands-on, practical type of polymath and a natural teacher. We listened, spellbound, as he explained the step-by-step process of grafting several kinds of apples onto the tree in his back yard. It seemed like an exotic way to learn botany at the time. I graduated from St. Joseph Hospital School of Nursing in 1975. In true Nightingale fashion, I spent most of my time in clinical, hands-on patient care and have worked full time ever since. For some reason, and with no extra encouragement from me, both of my sons have chosen to become physicians and have found like-minded spouses. Holiday scheduling for our family has taken on an entirely new meaning. 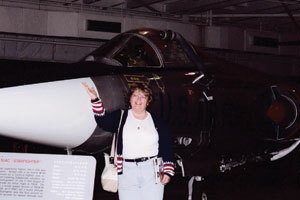 I visited the Air Force Museum at Wright Patterson Air Force Base in 2003. 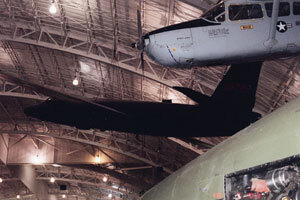 The lighting wasn't always the best but I happily wandered through the WPAFB museum that day snapping pics for a hospitalized fighter-pilot friend. I never dreamed that six years later I would find environmentalist Viktor Schauberger there as I studied human bioelectromagnetics and the retrieval of information across time and space through controlled remote viewing. Viktor studied spirals, torsion fields, magnetics, electrogravitics, antigravity, time, and space through the ravages of WWII. 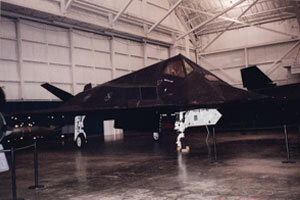 He gave us the Have Blue Program and the F-114 Stealth Fighter. I currently practice the art and science of medicine as a Registered Nurse in a busy Level I Emergency Trauma Center. My forty plus years of varied clinical and managerial roles within the field of medicine provide a wealth of holistically diverse situational models of the human condition, and provide the foundation for my study of applied intuition. In 1992 I began to notice an increase in personal intuitive / psi experiences and realized that our medical knowledge of the human condition is far from complete. Eventually my empirical observations and studies of intuition led to the study of the Science of Controlled Remote Viewing. My CRV Certifications through training with Lyn Buchanan include Basic through Advanced Levels, Analysis with Project Management overview, a Post Graduate course in Medical Applications (enhanced guided imagery) and Instructor / Trainer. In 2011 I presented a joint CRV / Nursing project at the Society of Rogerian Scholars Conference with intentions of publication. I moderate two controlled remote viewing egroups for Lyn Buchanan as his students share experiences and develop remote viewing skills, as well as coordinating and recording online webinars and discussions. In my spare time I continue my studies of intuition, mind-body medicine, biofields, global consciousness, entanglement and the contributions that positive intent and intuition play in human condition. There are currently no radio shows listed. Aesthetic Impact Informational Services does not provide medical advice. If you think you may have a medical emergency or have questions which may require an immediate response, call 911 or your physician immediately. Contact your physician or other qualified health care provider if you have any questions regarding a medical condition. Aesthetic Impact Informational Services does not recommend or endorse any specific tests, physician, products, procedures, opinions, or other information that may be mentioned on the website as a substitute for professional medical advice. The contents of Aesthetic Impact Informational Services, such as text, graphics, images and other material posted here are for informational purposes only, and are not intended to be a substitute for professional medical advice, diagnosis, or treatment. Reliance on any information contained on Aesthetic Impact Informational Services is solely at your own risk. Webinars are brought to you as an informational service by Aesthetic Impact Informational Services. Webinar presentations and recordings may be housed digitally by Aesthetic Impact Informational Services to facilitate sharing of information with those unable to attend. Aesthetic Impact Informational Services does not claim ownership or responsibility for materials or content presented by guest speakers.